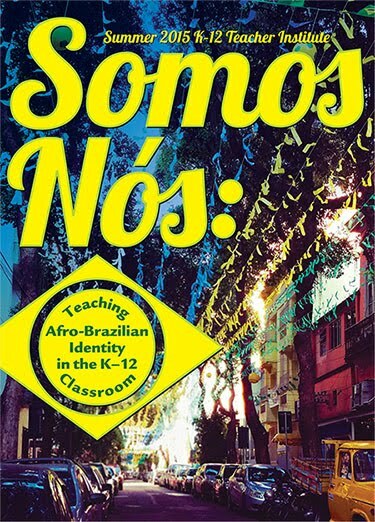 Welcome to the Summer 2015 Teacher Institute Exploring Brazil in the K-12 Classroom sponsored by Tulane's Stone Center for Latin American Studies, Vanderbilt's Center for Latin American Studies and the University of Georgia's Latin American and Caribbean Studies Institute and the Portuguese Flagship Program. Check out the various parts of the site which provide information about housing, parking, and getting around New Orleans, conference participants, and a schedule for the institute. We are looking forward to seeing everyone in New Orleans! Our institute in the news! Check out these photos from the Times-Picayune of the capoeira event at the Pebbles Center!! Check out this story on the Stone Center webpage about the institute! There is also a link to the Stone Center's flikr page in the story - so check out the pictures! A great way to stay in touch with us and learn about news and events!